Mayor Buddy Nott and I grew up across the street from each other! In August 2001, I was the incoming president of the Florida League of Cities and was in my first term as mayor of Dade City. I received a congratulatory letter from the mayor of Live Oak and he told me that he had read in the League’s magazine that I was scheduled to become the new state president and that he was originally from Dade City too. Because he had decided not to run for re-election, he expressed his regrets that he would not be attending the upcoming state conference and that we would not have the chance to meet each other in person. I was very interested in our common Dade City connection, but then as I read further through his letter, my heart jumped when he further clarified that he was actually from the nearby community of Trilby. It was then that I immediately knew this stranger and I had a genuine, near-bloodline affinity as brother Florida mayors, a sudden “tie that binds,” almost like accidentally meeting the twin that you never knew you had: All because we were both from sweet Trilby. Then I checked a little further into Live Oak mayor Angus “Buddy” Nott’s past and learned he was actually the brother of our late neighbor from across the road, Vivian Nott Boyko, and that the property there had been the Nott family homestead where Mayor Nott and his siblings had grown up. This was really unbelievable coincidence! Since he was 46 years my senior (plus a mere three days), it was quite a stretch to state “that we had grown up across the street from each other,” but I immediately contacted Mayor Nott and made my claim of near-kinship and our “long distance relationship” was initiated. A few months later, in the spring of 2002, Buddy Nott’s 16 year career as mayor of Live Oak was officially coming to a close and I decided to pay an “official visit” as Florida League of Cities president and attend his final city council meeting and have our first face-to-face meeting. It was an honor to be able to meet him and be present for the changing of the guard and introduce myself to his councilors and staff and residents as “being from Trilby too,” especially since they had often heard stories about Trilby and wondered if it was a real place or not! I learned that evening that Mayor Nott was somewhat larger-than-life in his adopted hometown and it was nice to find someone like him that was held in such high regard, especially by those who know him best. For being present that night and for also giving credibility to his boyhood at an actual place named Trilby, Mayor Nott gave me a key to the city of Live Oak, which I still keep on my desk. Later, during the time that I was indexing the Dade City Banner newspapers for Trilby references, I came across the Nott family name many times and learned their prominence in the community. Mayor Nott’s father, Leslie Eston Nott, had moved to Trilby from Brooksville, where he had been part of the early Lykes family operations. The elder Nott was chair of the Pasco County Democratic Party and was a kingmaker for those aspiring to elected office and many would make the pilgrimage to his front porch in Trilby to receive his backing. It was interesting to follow the boyhood of Mayor Nott through the Dade City Banner. 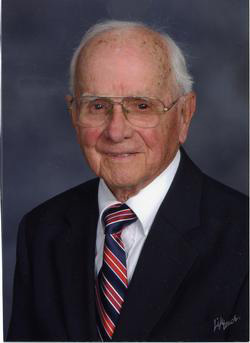 Angus Patterson Nott II was born in Trilby in 1918 and was named for his late grandfather, who had married into the pioneer Hope family in Hernando County. Buddy was a leader among his young peers and his name was often cited in the local news columns with his school achievements and other activities. He was particularly gifted in sports, notably basketball, and was a member of the Trilby school team that went to the state playoffs in St Petersburg and was one of the last remaining finalist teams for the state championship. In my office, I have a large framed photograph of the 1932-33 Trilby basketball team and it is quite a topic of conversation with my clients. It shows a rag-tag group of happy boys, solemnly overseen by school principal Mark St Clair, with no two players wearing the same uniform and most not even in uniform. At that time, there was not yet a school in Lacoochee, so the group is comprised of both Trilby and Lacoochee boys. In one corner of the picture frame, for contrast purposes, I keep a small photo that Mayor Nott later gave me from the 1990s showing a good number of those surviving basketball players posing with Professor St Clair at a Lacoochee reunion. The last two of those basketball champions were Buddy Nott and Wilbur North and sadly we lost both of them in the past two months. A few years ago, I sat with Wilbur and Margie North at a Lacoochee reunion and told him how much everyone in my office enjoys the team photograph. He chuckled and replied “That picture has ’poverty’ written all over it.” While it is an interesting and telling snapshot of the 1930’s era, that mischievous looking bunch of boys look like a very blessed and contented group despite the times. The Dade City Banner chronicled young Buddy’s attraction to St Petersburg as he began a career in banking and there would be fewer references to him in the local news. World War II caused a brief interruption and he served in both the U.S. Army and the U.S. Air Force during that period and was highly decorated for his service in both branches. Buddy resumed his banking career and after getting a good working knowledge of the profession in St Petersburg and Clearwater, he soon made his way to a job opening in Live Oak and put down his roots and became a leader in the town. When he retired from banking in 1986, he had served as president and chairman of the board for one of the Live Oak banks and later organized another local bank and served on its board and was a board member with the Florida Bankers Association. With the later fall of communism in Europe, he accepted a tour of assignment with other senior bank executives to visit Poland and help restructure rural banks there. Following his retirement, Buddy was elected that year as mayor of Live Oak and served the entire sixteen years afterward without opposition. He was able to use his leadership and management skills at a critical time to stabilize the city operations and later expand the city functions in its improved state. After he left office in 2002, the city and the state legislature honored him by naming one of his projects, a new traffic roundabout, in his honor. 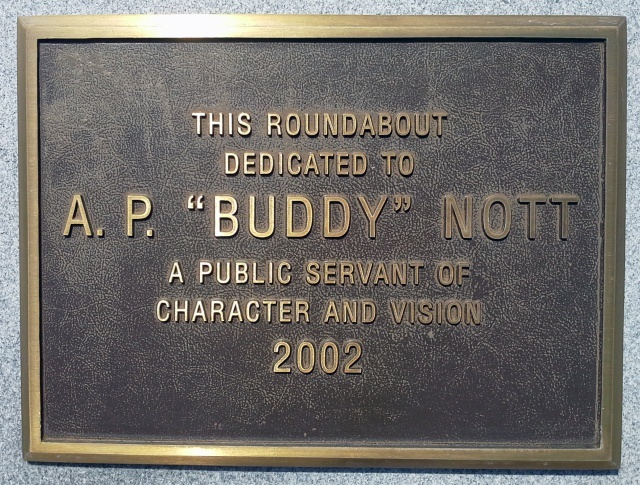 When he retired as mayor at age 83, Buddy Nott was in top form and was proficient with email and we would send notes back and forth to each other. He was one of the few souls remaining that predated the “Great Trilby Fire” of 1925 and he was a great resource in my Trilby research when I had specific questions. I could drop him an email and get a reply in a day or so and sometimes he would call me on the telephone if the answer to my question was too complicated for a written reply. With his daughter’s help, Mayor Nott helped me by drawing up diagrams of his long gone Nott family homeplace and the floor plan of the old two-story brick Trilby school and a childhood map of Trilby showing where many of the local families and businesses were located. We would see each other from time-to-time when he would come down for the Lacoochee reunion and some other family events and he brought his extended family to a couple of our Trilby picnics as well. One of the staff members at Live Oak City Hall called me in late July when Mayor Nott passed away and I began making plans to go up for his memorial service. The online edition of their local newspaper, the Suwannee Democrat, immediately began posting the news of his passing and stories of his accomplishments. City employees were dispatched to Nott Circle to place a wreath there in his memory. The church and fellowship hall were packed for his funeral and I was impressed with the comments that were made in honor of their late mayor and bank president and coach and his impact on the Live Oak community. As I spoke with people following the service, several were once again amused to meet “someone else from Trilby” and I assured them that it was indeed a real place. Even though Trilby had been long ago in his existence, he often returned home and it was an important part of who and what Mayor Nott had become in his life. The memorial service was concluded outside in a courtyard where Mayor Nott’s ashes were placed in the church columbarium. 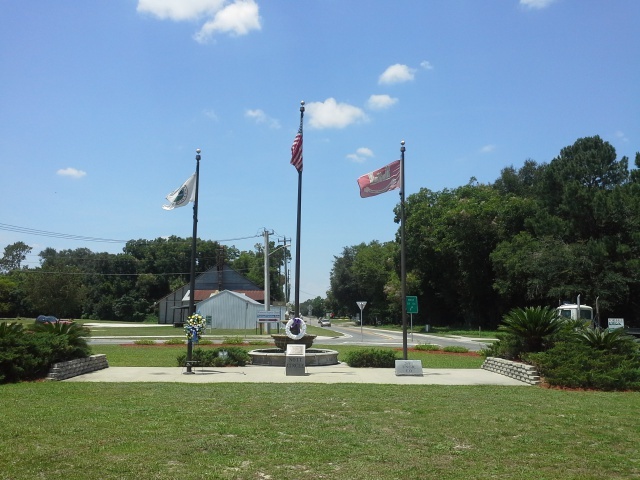 However, Mayor Nott had told me a few years ago that when he died he would “be in two places at the same time” because half of his ashes would be kept at the church in Live Oak, but the rest would be interred at the foot of his father and mother’s graves in the Brooksville Cemetery. Sure enough, one of his daughters mentioned they would be coming down later for another brief service there. Already at Leslie and Willie Nott’s grave in the Brooksville Cemetery is a long footstone with individual spaces marking the final resting place of each of their four children: Merle, Leslie Jr, Angus (Buddy), and Vivian. Editors Note: Buddy Nott could always be counted on to give us a great story on his life in Trilby. He recorded many of his memories like: A Return to Trilby, Life in Trilby II and Life in Trilby During Its Heyday - A Young Boy’s Fascination With Trains, all on the Trilby page. See also a photo of Buddy Nott on the 1932-33 Trilby High School basketball team here.